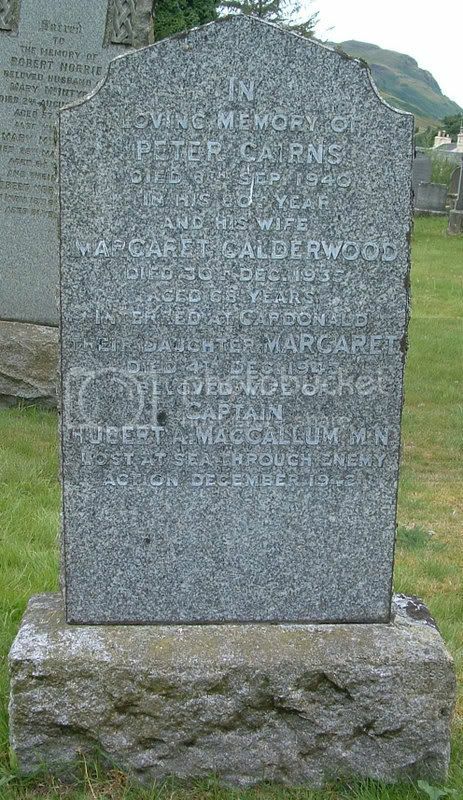 Additional information:	Son of James and Agnes McEwan; husband of Rose McEwan (nee Parker), of 81, Sabine Rd., Battersea, London. Born at Fintry. 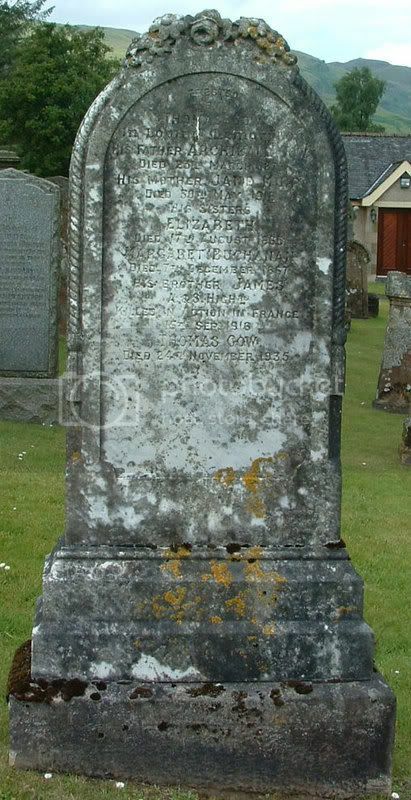 Grave/Memorial Reference:	In North-East part. Additional information:	Son of James and Ruth Evangeline. 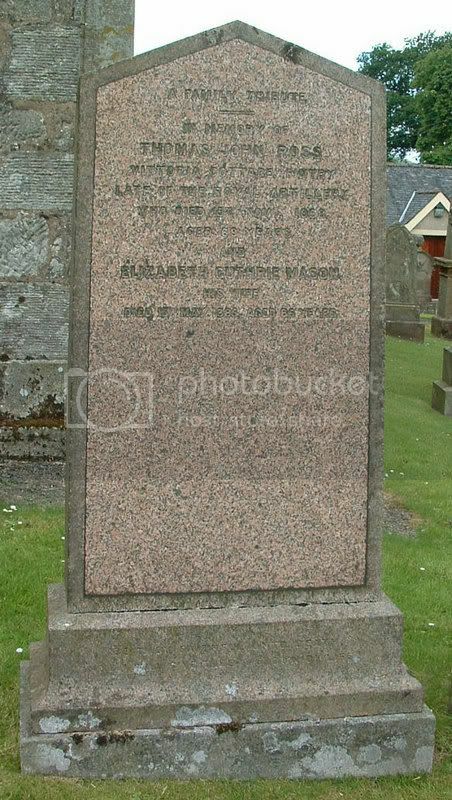 Menzies, of Fintry. 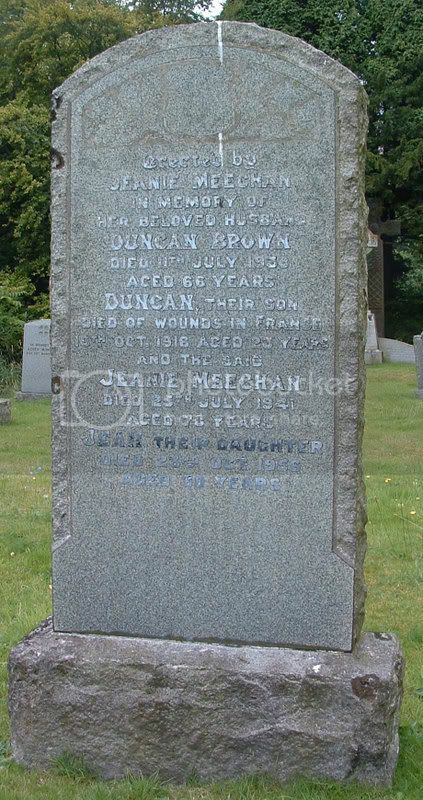 Additional information:	Son of Duncan and Jeanie Brown (nee Meechan), of Sunnyview, Fintry, Stirling. Grave/Memorial Reference:	III. G. 16. 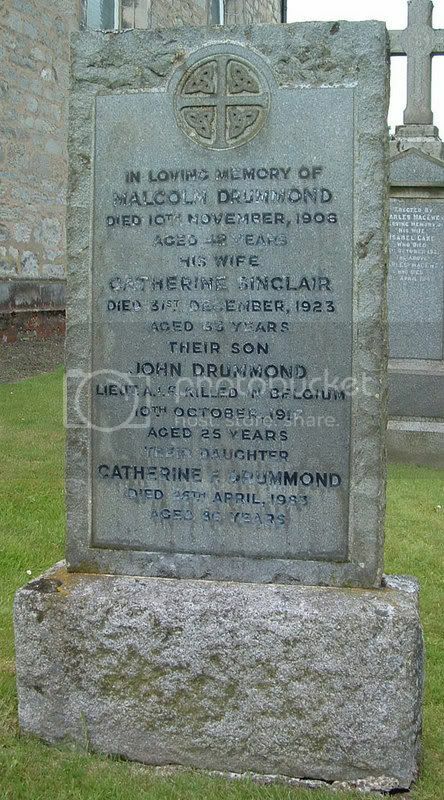 Additional information:	Son of Malcolm McLean and Catherine Drummond (nee Sinclair). 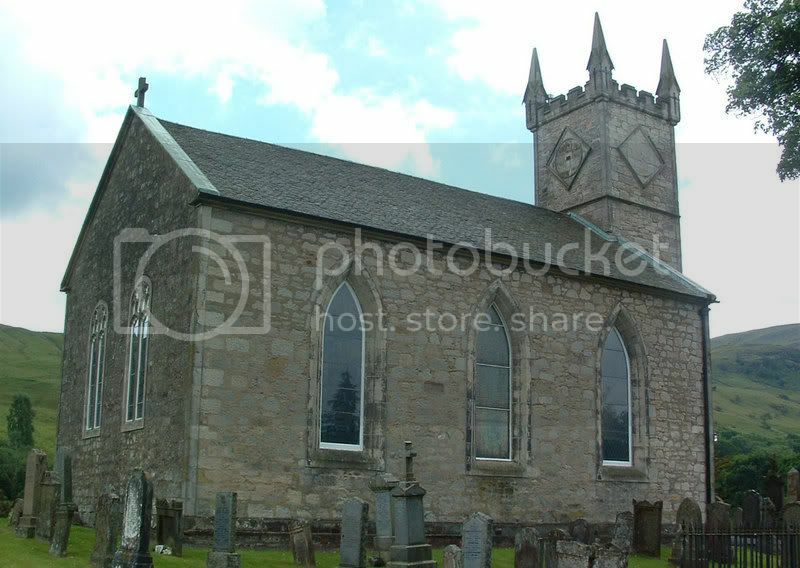 Native of Fintry, Stirlingshire, Scotland. Grave/Memorial Reference:	Panel 7 - 17 - 23 - 25 - 27 - 29 - 31. 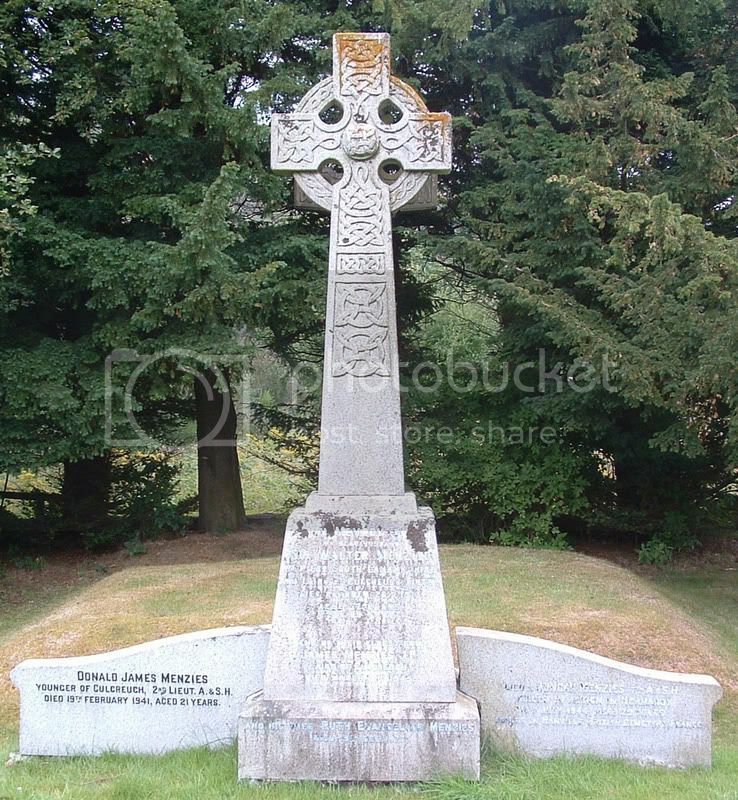 Grave/Memorial Reference:	Pier and Face 15 A and 16 C.
Additional information:	Son of William Ferguson Menzies and Kathleen Augusta Cheney Menzies, of Upwey, Dorsetshire. 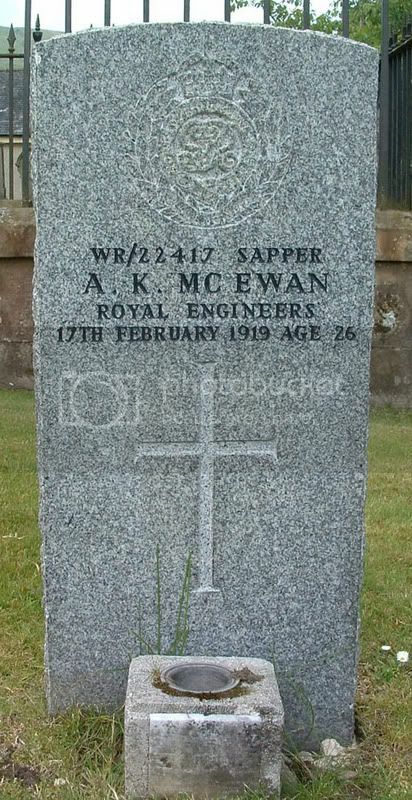 Grave/Memorial Reference:	I. E. 26. 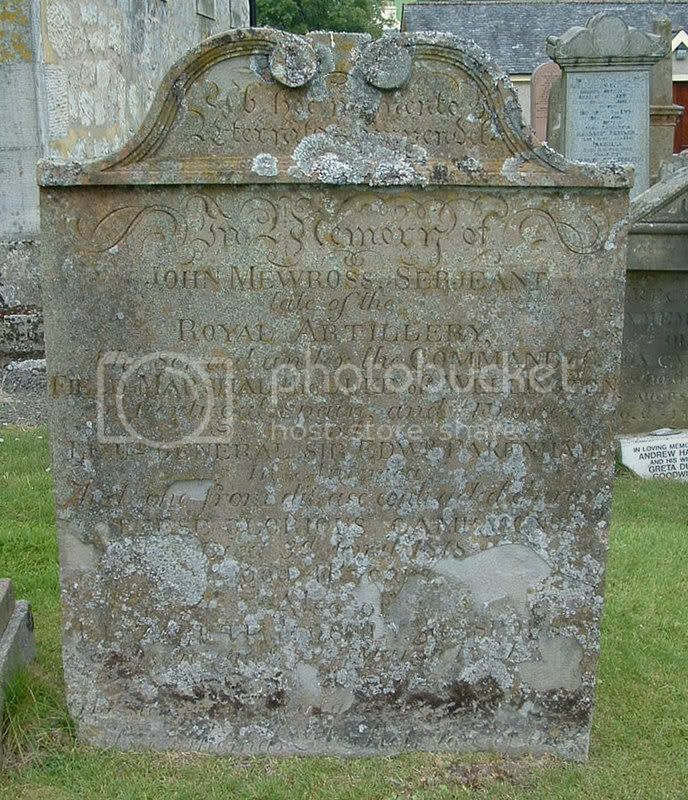 For photo of whole stone: see Donald James Menzies (above). 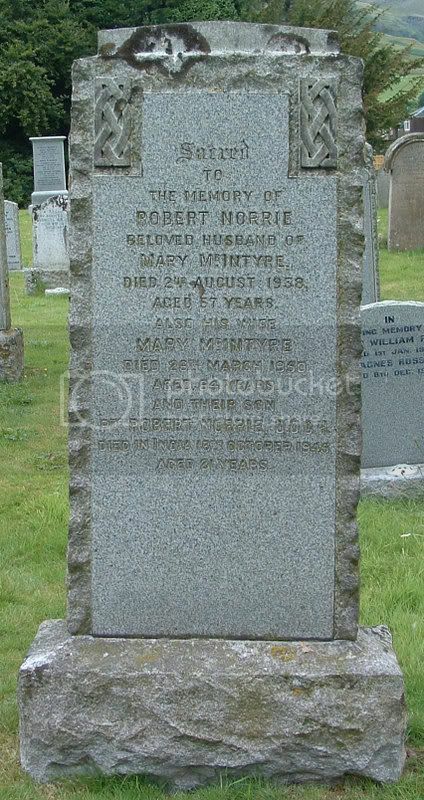 Additional information:	Son of Robert and Mary Norrie (nee McIntyre), of Fintry, Stirlingshire. Grave/Memorial Reference:	2. A. 7. Unit Text:	"C" Bty. 156th Bde. 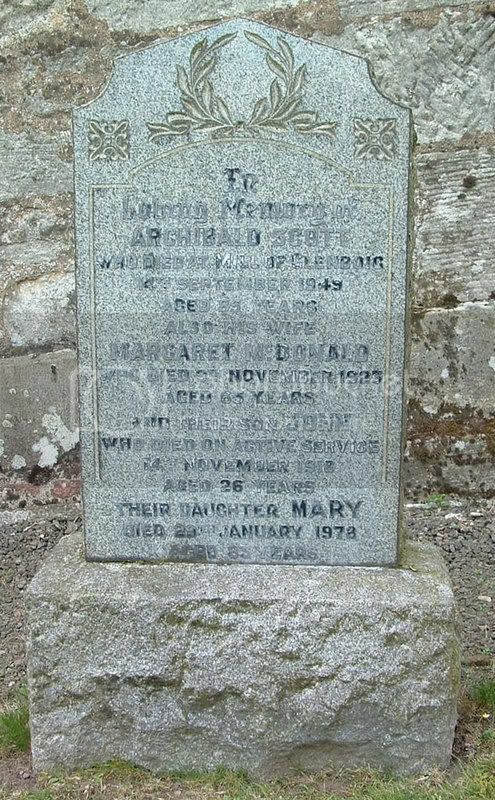 Additional information:	Son of Archibald and Margaret Scott (nee McDonald) of Mill of Glenboig, Fintry, Balfron, Stirlingshire. Grave/Memorial Reference:	I. C. 10.